PHOENIX — As wedding prices rise in the Valley, Arizona couples and small businesses juggle costs, trends and constantly evolving technology. National average wedding costs have risen $12,333 from only five years ago, as millennial couples demand a custom tailored experience, shift from short videos to movies that tell the story of their romance and extend the marriage experience from engagement to wedding day. According to The Knot 2016 Survey released in February, the cost of a wedding in Arizona averaged $25,718. That actually makes the state the seventh-most affordable place to get married, as the national average that hit an all-time high at $35,329, excluding the honeymoon. The average wedding cost in Phoenix was $29,621 and in Tucson, $22,175, and while these prices are lower than the national number, wedding costs continue to rise, trends are subject to change and technology continues to evolve, altering the industry and the planning process. Angela Kowal, an Arizona bride from Cottonwood, didn’t spend nearly that much for her wedding in 2009. Kowal and her cousin/bridesmaid, Chemin Alldredge, spent about $500 on the ceremony and receptions after donations from family and friends. 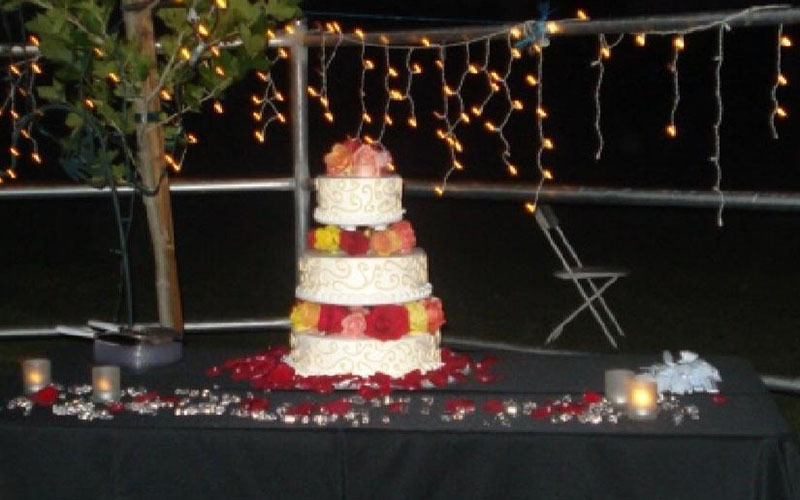 Alldredge said there were 20 to 30 guests, the groom hired an inexpensive caterer, alcohol was provided by the groom’s brother as a gift and the local grocery store made the wedding cake. 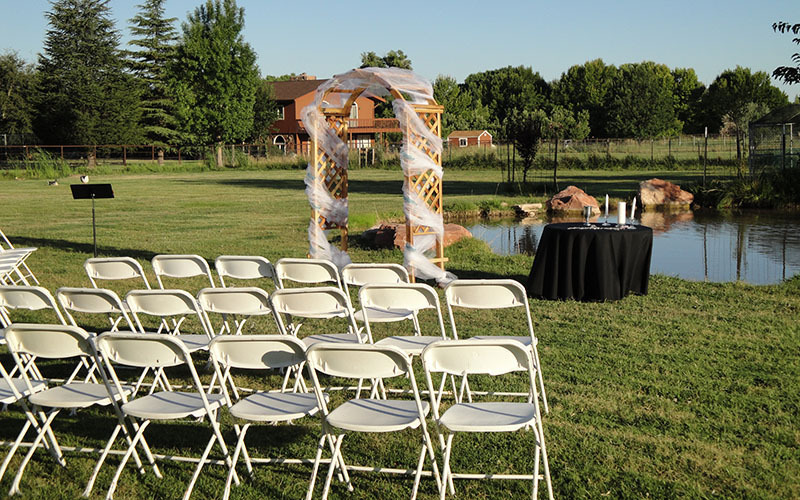 The ceremony and reception was held on family property. The flowers were purchased from the local grocery store and arranged into bouquets by the wedding party. Photos and videos were taken by all of the wedding guests; professional photography was gifted to the couple by the bride’s cousins. “I wouldn’t change it at all. It was so perfect. We didn’t expect to get married in such a beautiful location. It was a blessing to us,” Kowal said. 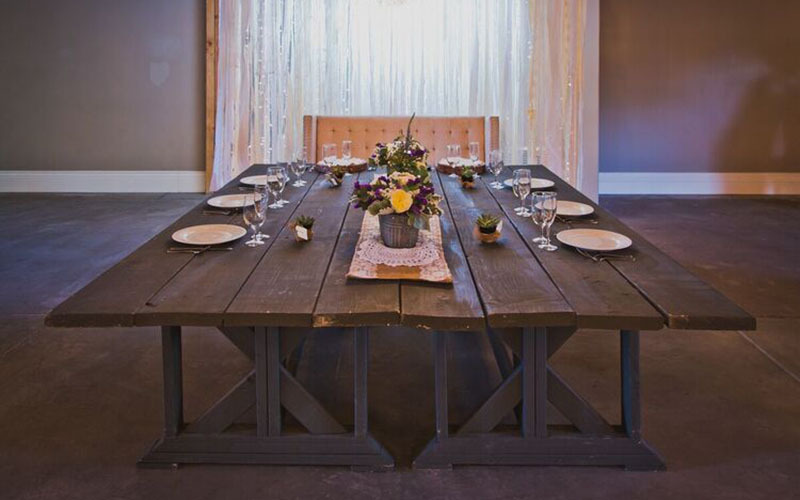 When planning a wedding there can be many vendors that come together to create an event. There are different businesses that handle the location, food, cake, bar, photography, cinematography, apparel, cosmetics, decorations, invitations and entertainment. There are even vendors that specialize in coordinating and planning the event itself, all of whom have their own brand, business model and goals. Arizona wedding planner and florist Skyla Wilson started her business when she was 22 years old. Wilson said her market demographic appeals to customers between the ages of 25 to 32. 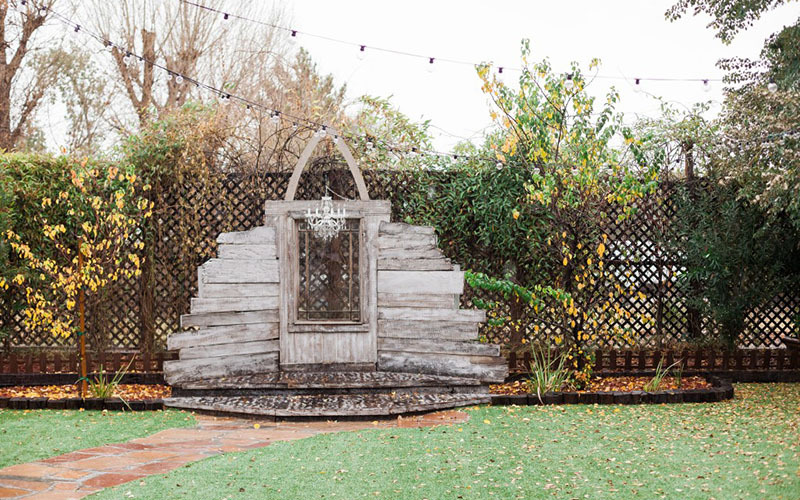 Wilson said couples of the millennial generation prefer to personalize their weddings and add elements that represent who they are as a couple. “They’re bombarded by trends and inspiration on every social media platform, so when it comes to their own personal experience, they want it to be unique to them,” Wilson said. Vendors have found technology and social media has made a significant impact on communication and relationships with their clients. For Wilson’s business, Skyla Brooke’s Weddings and Events, technology has helped her communicate with her clients more thoroughly. Other vendors say technology has created a 24/7 industry and can cause delays in the planning process. “Since everything can be done through a phone in our pockets, it’s human nature to push things to the last minute. I get more calls after hours and more texts on Saturdays and Sundays. The expectation in this industry is that you are available 24 hours a day to the couple,” Meesenburg said. Micetic and Hammond from The Elegant Barn said they predominantly communicate with their couples via email or text. Pollock from Serendipity said sometimes she won’t actually speak to the couple until the day of the event. “There’s constant communication and yet my phone never rings. Sometimes I wonder why I even have a business line,” Pollock said. By contrast, Meesenburg said in her experience, every couple just wants to sit down in person and talk through the details leading up to the wedding. “Even millennials, they want to come to lunch and go over the final details of their wedding face-to-face. The more complex the service is, the more couples want to meet in person. To the bride it’s a concept of, ‘I see your file, I see your notes. You look so confident. I feel better,’” she said. However, most vendors agree reviews and especially complaints happen almost purely online. “People find a lot of security in hiding behind a computer screen. They can be a lot more vicious, a lot more angry and a lot more mean. Then when you go and call the couple, suddenly they’re saying that it wasn’t that bad and they were just frustrated, when on their review or email, they said that I ruined their wedding.” Pollock said. “It’s very scary for business owners because reviews are awesome, but at the same time, clients have the opportunity to be the judge and the jury in that situation. If you get a bad review it is impossible to get it removed, even if it’s not true,” she said. In addition to keeping up with clients and coordinating, vendors need to create a presence on the social media platform, adding an entirely new sector to their business. During The Knot Workshop, an industry event held in Scottsdale this past summer, there were sessions dedicated to social media practices. Social media, especially platforms like Instagram, act as a marketing strategy for businesses owners where they perform most of their advertising. “I am able to use social media to showcase my work because my product is video.  You can’t demonstrate that in a magazine ad,” Pollock said about advertising for her cinematography businesses. Social media is also where couples are going to find their vendors, and businesses are finding many couples are planning their wedding almost entirely on their smartphones. Speakers and professionals said at The Knot Workshop, if a couple can’t find some kind of social media presence for a business, they may view it as unreliable or dated. With social media, smartphones and evolution of technology, vendors have had to adapt and work with their clients accordingly. “Technology is constantly moving. It’s really hard because keeping up with that is so expensive. You have to be really careful about the choices you make because I can’t afford to swap out gear every season,” she said. Pollack’s team consists of 16 cinematographers, seven editors and two assistants. Her businesses provide the equipment required to produce the films. In order to remain competitive, Pollock focuses on her storytelling skills and the style of her overall brand. “You have to be able to shoot your films with the equipment that you have, not the equipment you wish you had,” she said. Pollock explained she prices her services based upon the time, equipment and features that go into the product for the couple. Pollock said that’s what couples are mainly paying for, the editing that goes into creating a wedding film. Couples are also paying for the professionalism and experience of Pollock and her team. Pollock said during the 2008 recession her cinematography business, Serendipity, had taken off, but she found that couples were having tighter budgets. “As I was expanding Serendipity, I realized that there was an entire market of couples that didn’t want, or maybe couldn’t afford, all the bells and whistles, but still wanted a wedding video. 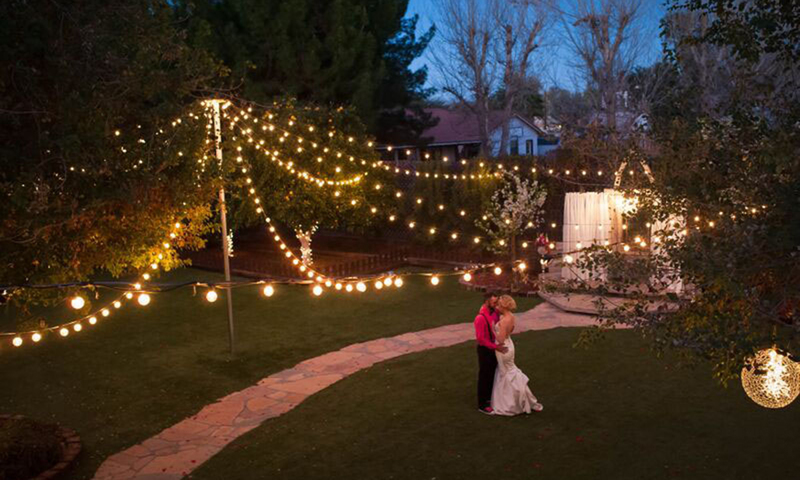 I created Simply Cinema, so that I could service these couples and accommodate their budgets,” Pollock said. Owner spun off the Simply Cinema Video business left as a lower cost alternative to Serendipity Video business right. Providing a package option is a common theme in the wedding industry overall. 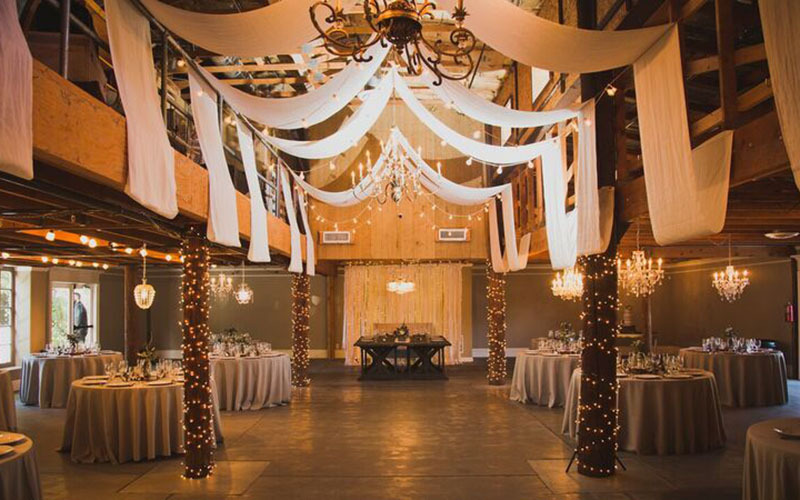 The Elegant Barn, an estate-style wedding venue located in Mesa, provides several options that allow couples to determine a price point with which they are comfortable. Downtown Phoenix Sheraton hotel event manager Jocelin Meesenburg said she always recommends couples use a wedding planner for their event. Meesenburg said there are some resorts that require a couple to have a wedding planner because of how useful they can be. 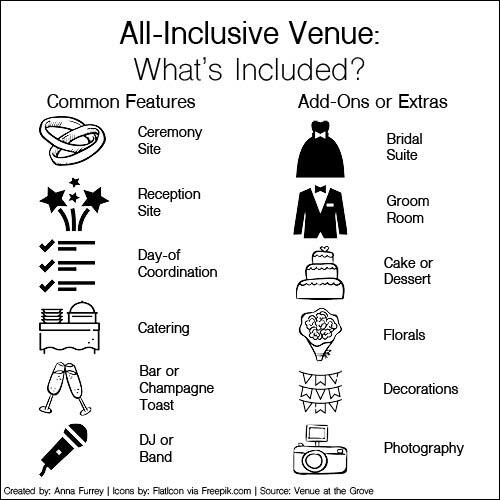 What’s included in an all-inclusive wedding venue? Here’s the breakdown. Wilson, the wedding planner, said professionals not only help with every facet of the wedding day from before it begins to long after it ends, but they also help in working with other vendors to create a smooth and low-stress experience for the couple. It’s common for wedding vendors to have relationships and to refer clients to other local businesses with which they have built rapport. “When you have a wedding planner helping your hire your vendors you are going to be treated like royalty because that business wants your wedding planner to keep referring couples to them,” Wilson said. Micetic from The Elegant Barn said all-inclusive venues charge for the services they provide and for the convenience that comes with them. Micetic said while the cumulative price may look scary upfront, the services and elements of a wedding can quickly increase the price tag. 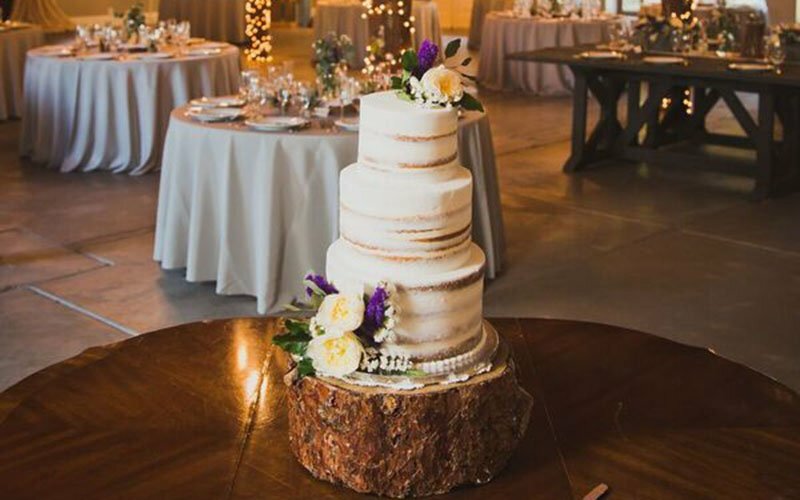 “By the time you book a venue, and hire a caterer, get a wedding cake, buy the decorations, rent tables, chairs, linens, dishes and flatware, hire a bartender, buy the alcohol and take care of all the little details, it’s going to add up anyway and you just put in three times the work,” Micetic said. As a wedding planner, Wilson said one main point of advice she would give to couples looking to get married in the future is to create a list of priorities. Local vendors suggest for couples to simply know their priorities and their budget as a means of saving money when wedding planning. Having a less-popular weekday wedding is one way to receive discounts on wedding services. Booking an Arizona venue from the “off-season” months of June to August can result in lower rates because of the extreme heat. Meesenburg said a couple looking for a hotel venue should research to see about discounted and prime dates. Certain hotels will be geared more toward conferences, so their busy days will be different than a resort that focuses more on vacation and leisure. Flowers are another wedding element where prices are affected by timing. 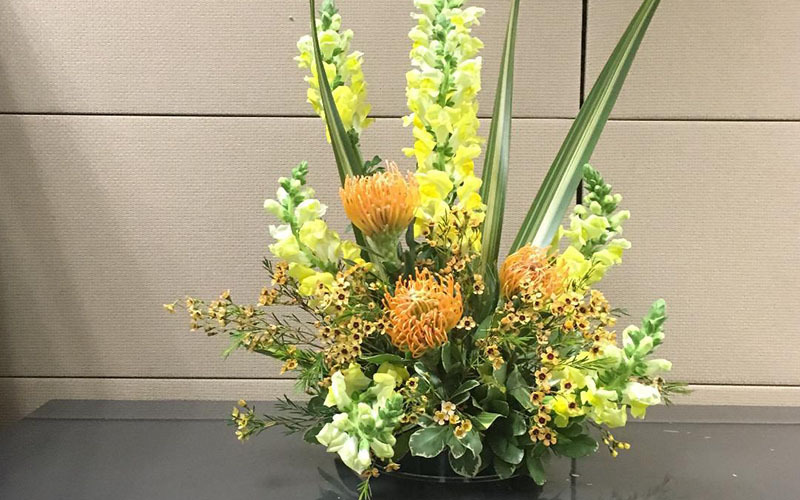 Carly Hansen, a florist apprentice in the Phoenix area, said one of the best things a couple can do is get flowers that are in season and to work with florists who get their flowers locally. “When your florist buys flowers and plants locally, you cut a lot of shipping and handling costs, which is where it gets expensive,” Hansen said. Hansen also suggested that couples use foliage, which is greenery or plant leaves, and filler flowers such as baby’s breath or carnations. Couples can also reuse floral decor from the ceremony to the reception. Hansen said succulents are popular desert plant and can be repurposed, saving both the florist and the couple money. “You have to trust the designer. Your florist works with the plants every day, they know what stems will compliment each other and how to make foliage look beautiful,” Hanson said. 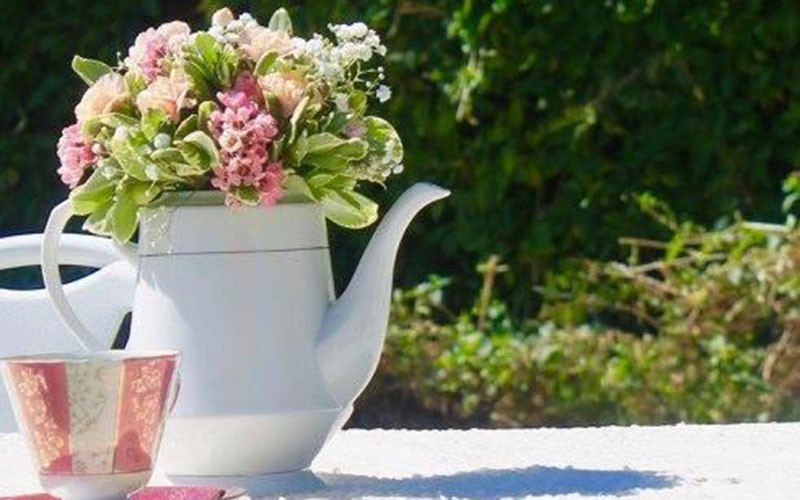 Florist and wedding planner Wilson suggests couples browse the portfolios of florist who catch their interest, as opposed to price shopping and gathering quotes. From florals to formal wear, there are many ways Arizona couples are saving money on their wedding. In the Phoenix area, there are stores that sell bridal gowns via consignment as well as off-the-rack — either discontinued or manufacturer’s overstock — for a discounted price. 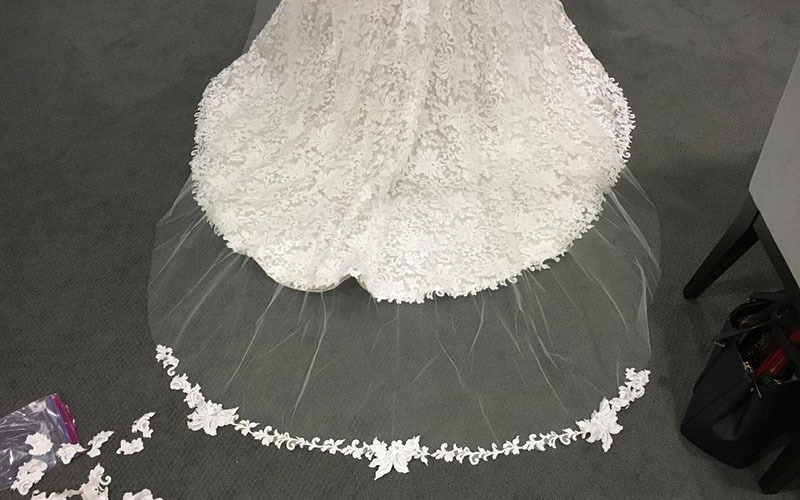 Bridal shops that order gowns through the designers may offer the option to buy a floor or discontinued model at a discounted price or through a sample sale. 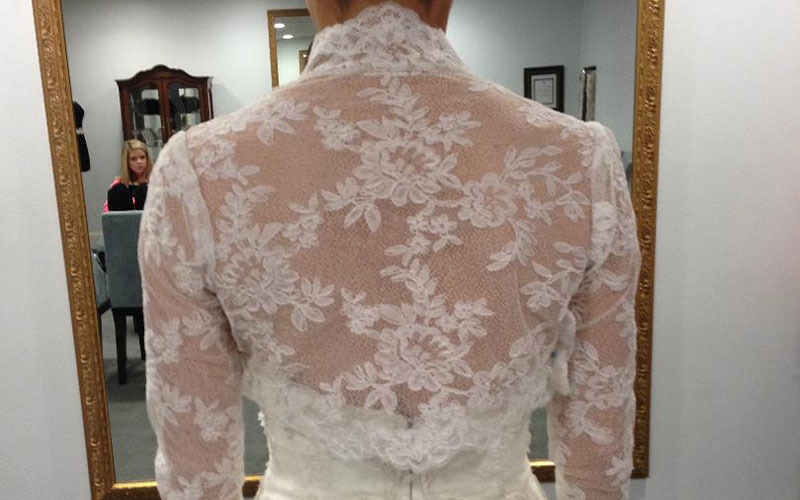 Whether a customer reorders a gown or buys it off-the-rack, alterations may still be necessary. 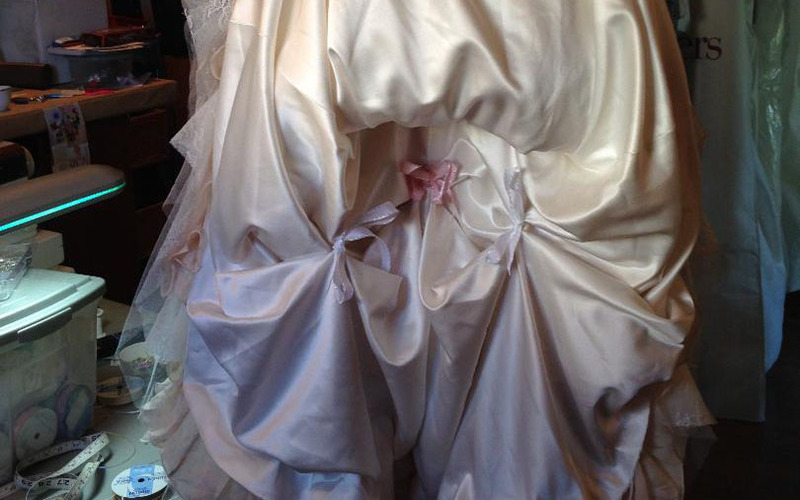 Bridal gowns are commonly made in a larger size with the expectation it will be altered to fit. Alterations for bridal gowns typically run between $200-$550 according to several bridal stores in the surrounding Phoenix area. 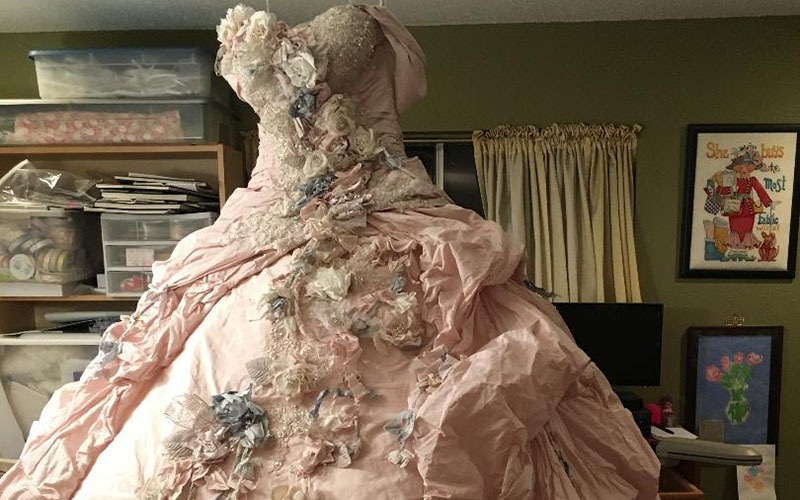 Stephenson said the alterations process can get complicated because she encourages brides to choose the gown they want, and doesn’t want them to feel “punished” for loving the gown they chose. Vendors working with their clients are finding differences with the millennial generation regarding communication and technology. However, vendors are saying the core values of a couple remain the same throughout every generation. The industry is in a state of change, and the average cost continues to rise by the thousands. As a result, local vendors encourage couples to research their options when determining a budget, choosing the businesses they work with and deciding on the elements for their event.